Pork is stewed slowly for hours in sweet, tangy juices to enhance the flavor and tenderize the meat in this traditional Taiwanese entree, a treat that is generally reserved for special occasions. 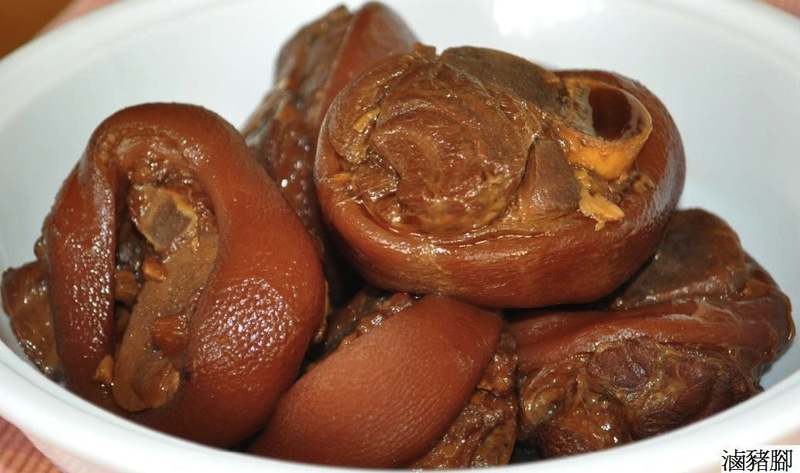 Stewed pork hock is often served on birthdays, especially on the birthdays of elders. 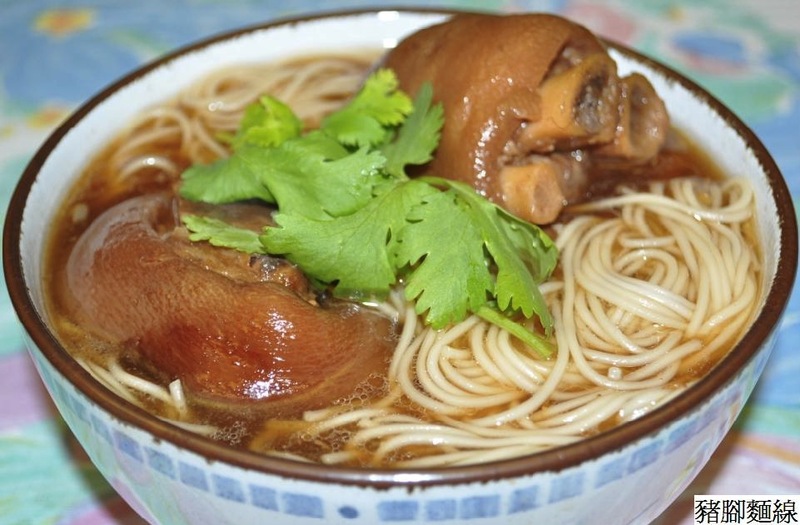 Serving the stewed pork with noodles (“mi-swa” in Taiwanese) symbolizes longevity. Eating pork hock is also believed to ward off bad luck and attract good fortune. Bring a large pot of water to a boil. Place the pork hock pieces into the pot and cook for about two minutes. Remove the pieces from the hot water and rinse them in water. Heat two tablespoons of cooking oil in a stew pot and sauté ginger, garlic and green onion until fragrant. Add pork hock to the stew pot and stir and cook for about two minutes. Add all of the seasonings listed above and bring the contents of the stew pot to a boil. Turn the heat down to low and continue cooking for one hour or until the meat is tender, but not too soft. Make six to eight servings. If you wish, you can serve the pork with thin noodles. This festive traditional dish is served on birthdays and other celebrations in Taiwan. The thick gravy left over from stewing the meat is often used as a sauce for noodles or reserved for other uses. You can use it as a savory cooking sauce for dry bamboo, bean curd or other dishes. If you do not wish to prepare this dish over a stove, you can also use a traditional Tatung rice cooker to prepare this dish. My daughter recommended your blog. I’ve bookmarked your site. oh my goodness. I came here trying to figure out what I could cook my parents to give them something they’d really enjoy. I’m sitting here drooling at the screen now. I guess it’s time to go to the grocery store! Stewed Pork Hock | Taiwanese Cooking with love!